Tagged with edtech, ESSEC, Online, Pearson. ESSEC Business School and digital learning company Pearson have partnered to develop and deliver new online executive programs in 2019, including a 100%-online executive certificate for future managers. The first of seven executive certificates – which combined will provide candidates with an ESSEC Executive Master in Digital Transformation – will be launched in spring. The first online certificate, Big Data and Artificial Intelligence for Business, will allow participants to tailor their learning to meet their individual managerial ambitions and interests. As the course takes place online, participants will be able to exchange knowledge, ideas and experience with peers from around the world, without having to leave their home country. 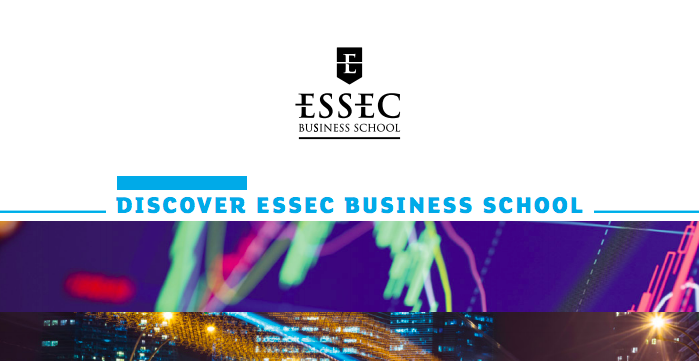 Under the partnership, online course content, virtual teaching and tutoring, and other student services will be provided by ESSEC’s leading academics. Pearson will provide research consultancy, domestic and international student recruitment, and student support and retention services. Speaking about the partnership, head of core markets at Pearson Rod Bristow said it will create an educational experience enabling learners to develop high-level skills to succeed in the workplace of tomorrow. “The future of work is not humans vs. machines, but humans working more effectively with machines,” he said. According to Thomas Jeanjean, dean of Post-Experience Programs at ESSEC, “New and complex developments in big data, Blockchain and AI require new and evolving knowledge and skillsets. “Those who shape the future will be those who maintain bleeding-edge skills and insights – they’ll be the ones who can spot opportunities and act on them,” added Jeanjean.